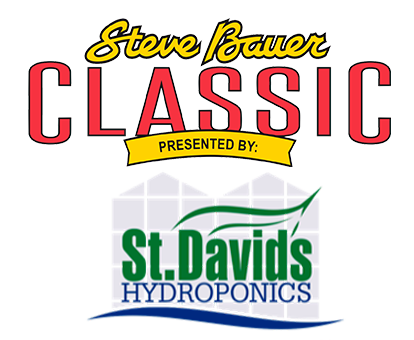 The Steve Bauer Classic presented by St. Davids Hydroponics will be the location of the 2019 Ontario Road Provincial Championships on Saturday, May 18th, 2019. In its 35th year, Effingham Hill, also known as Saylor’s Hill, will again prove to be a challenge to racers competing for the coveted Provincial Champion jersey. With a 14.8% maximum grade, the hill never disappoints and will make for a tough racing terrain for those who wish to attack and challenge their adversaries. The Ontario Provincial Championships will be run on age-based categories. Riders are able to select from the following Provincial categories based on their birthday by the end of December 31st, 2019: Master C Men, Master D Men, Master B Men, Master A Men, Master B Women, Master A Women, U19 Men, U19 Women, U23 Men, U23 Women, Elite Women, Elite Men. Provincial Championship results will not count towards the Ontario Cup Road Series. A new addition in 2018, the Northumberland Classic was an instant favorite for those who participated at the 4th Ontario Cup last season. On its second year, the Northumberland Classic will prove once again to be one of the most challenging but rewarding courses of the entire series. The course consists of a 16.5 km loop and contains over 225 meters of elevation per loop.